Your family members depend on you - and you depend on Activ Doctors Online. 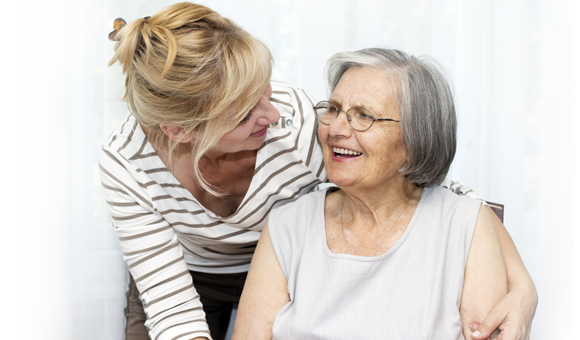 Caring for your senior or disabled relatives is easier with Activ Doctors Online. If you’re a caretaker for a family member or loved one with special needs, you know that managing their medical care can be a challenge. Activ Doctors Online gives you the resources you need to better manage your loved ones’ health. Engage in online video eConsultations with a highly-qualified, accredited physician. Seek a second medical opinion online and without additional doctor or hospital visits. Store and manage your loved ones’ medical records online with 24/7 access from anywhere in the world. Taking responsibility for your elderly relatives or family members with special needs doesn’t have to be time-consuming. With Activ Doctors Online, you’ll spend less time worrying about them and enjoy more quality time together. When you’re caring for someone with a disability, special needs, or advanced age, a trip to the doctor can be time-consuming and difficult. Many receivers of care require special travel accommodations or find it uncomfortable to leave home. With Activ Doctors Online, you’ll have access to online video eConsultations with a top-ranked physician from anywhere in the world. Set the appointment on your schedule, and see a physician with no need to miss work or leave home. With our top-rated medical team, you’ll never need to worry about the quality of care your loved ones are receiving. If a family member or loved one has been diagnosed with a medical condition, a second medical opinion could turn up different results. Activ Doctors Online gives you access to online second medical opinions from qualified, well-trained specialists in their fields. A physician will analyze your patient’s entire medical history, current condition, and test results to determine whether your diagnosis needs more consideration. Getting a second opinion online means no wait for an appointment and no need to travel to a new clinic. SImply grant access to your records and receive your second opinion days later. Taking care of a special needs family member means remembering their important medical history – and not every practice or hospital you visit will have your medical records on file. If you’re wondering whether your doctor really has all the information he needs, online medical record storage from Activ Doctors Online means peace of mind for you and your family. You’ll be able to store your child’s, parent’s, or relative’s entire medical history in one convenient and 100% secure login portal. Store just one person’s records, or upgrade your plan to store the entire family’s. You’ll have 24/7 access from anywhere in the world. Ready to become an ActivCaregiver? You can get started with a free 30-day trial or contact us to learn more about Activ Doctors Online.